. . . from my husband's infinite optimism at this time of year. are appearing in a new Martingale publication! Although this quilt is constructed using a basic String block method, Prairie Points with buttons and machine applique have been added. I chose a darker navy fabric for the sashing and border, to quench the overuse of black as a background color in quilts. (This quilt and it's instructions have been previously published in the September/October 2010 issue of 'Quiltmaker' magazine.) It is also available for purchase from my website. Imagine my surprise, when I sat down to my computer yesterday and found the image of my work pinned on 'Pinterest'! I'm very excited to have my work featured along with many other wonderful design artists. 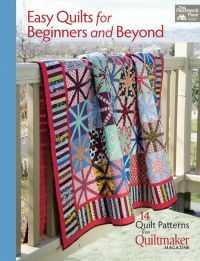 Many thanks to Quiltmaker magazine and Martingale Publishing! 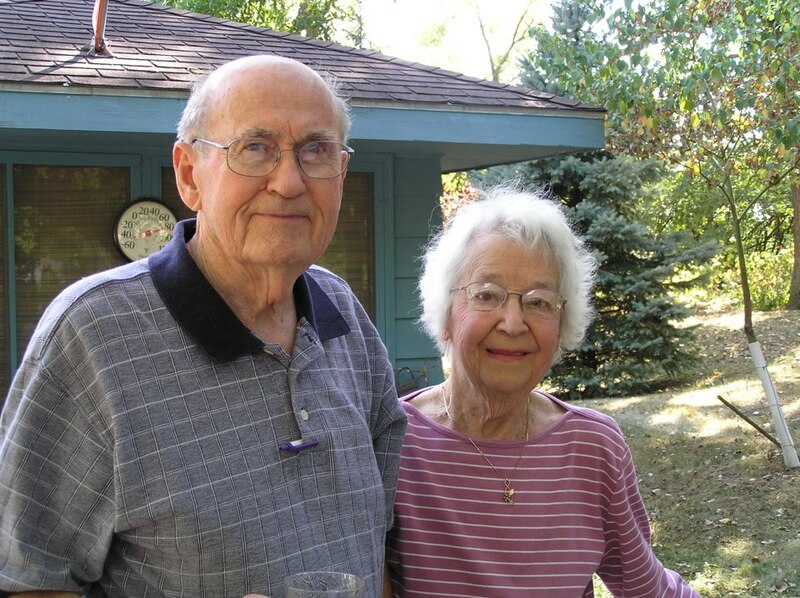 Dunder, Betty Jane Irene (Lindquist) age 84, of Plymouth, Minnesota passed away 9/28/12. Born 7/15/28 in Isanti County (Wyanette) to Alvin & Irene Lindquist. Married 4/10/48 to Reuben Dunder. Preceded in death by parents, and infant sister, Jackie. Survived by her husband, Rueben; sons, Keith (Katie), Kevin (Diane) and Kent Dunder; daughter, Karen (Mark) Westermann; 7 grandsons and 1 great-grandson; brothers, Richard and Reynold. Service at Prince of Peace Lutheran Church, Hwy 7 & Texas Ave., St. Louis Park, 10/3/12 at 4:30 PM with visitation 3:30 PM. Private interment. Memorials preferred to American Cancer Society or Prince of Peace Church.